You might have noticed if you've tried to join the GameGrin COD4 Server that you might get booted out randomly on connection because of PunkBuster. 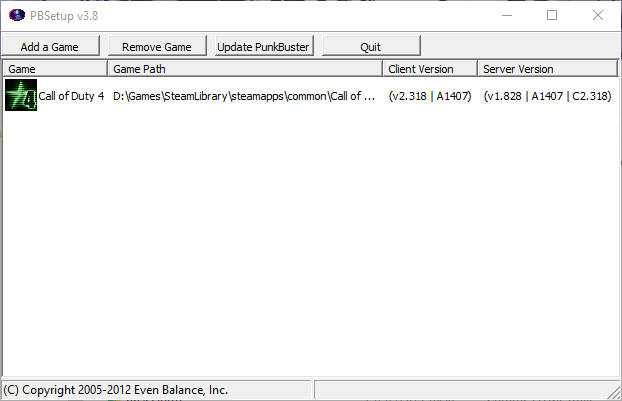 PunkBuster discontinued support for a whole bunch of games a while ago and instead of leaving them in a working condition they just flat out broke all of them. After trying a whole bunch of PunkBuster versions and fiddling with a ton of nonsense I figured out a combo of things that work. 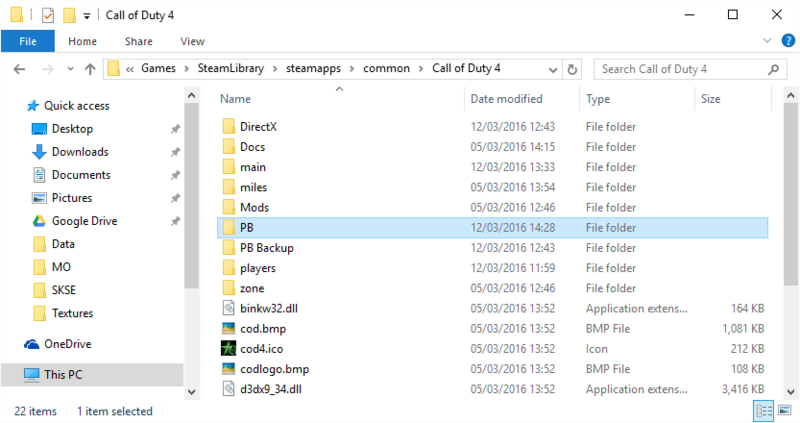 This archive contains version 3.8 of PB with dlls and config that still supports COD4. To install this go to your Steam Call of Duty 4 folder. Extract the archive into the PB folder. Run pbsvc.exe and install/reinstall to ensure the PunkBuster services are installed/running. Run pbsetup.exe, you should see a Call of Duty 4 entry but it will most likely be pointing to the wrong Game Path (as it's from the setup I had when I bundled this up). 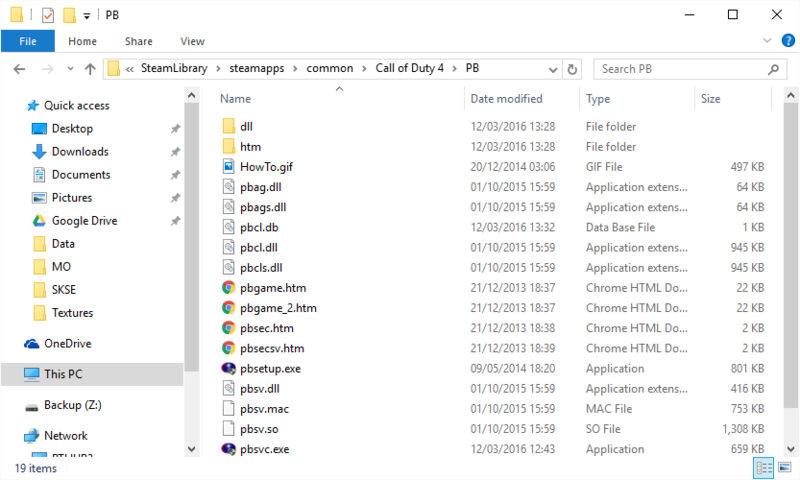 Remove the existing entry and re-add a fresh entry pointing to your Steam Call of Duty 4 folder. Don't click the Update PunkBuster button and don't worry if you get an error about updating. Hit Quit and you should be good to go. Attempt to join the GameGrin server and it should all hopefully work now! Note: Hopefully this post is okay like this, Platinum suggested I post this here for reference, if it needs moving or changing feel free to edit it mods! Last edited by djdawsonuk; 16-04-2016 at 06:46 PM. Can confirm the above works, having used it myself. Edited the post as GG is now hosting the file for you.